The best way to prepare for your next public speaking engagement is by learning from one entrepreneur’s mistakes. 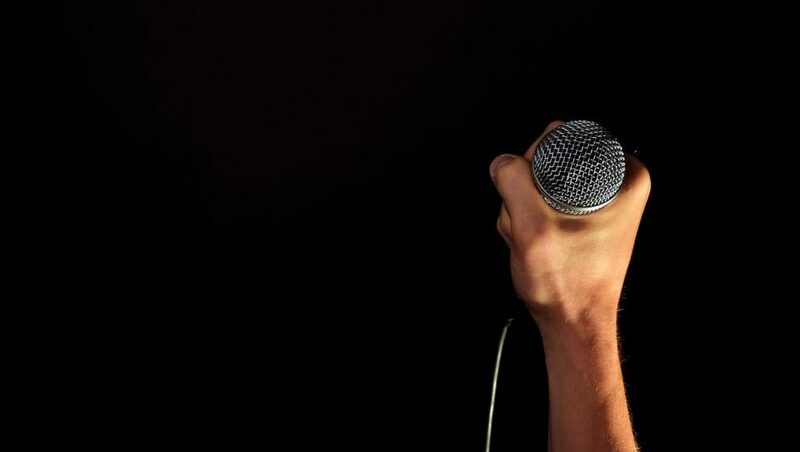 As the founder of a successful digital and creative agency with 15 employees, even, I’ve had my fair share of embarrassing moments when it comes to public speaking. Before the conference, I had already planned for my introduction. Despite the fact that most presenters would be reading a script of the speakers’ bios, I decided to go above and beyond and have it memorized. Sounds like a good plan, right? Unfortunately, I made the mistake of thinking that I could write my script the night before and commit it to memory in a single night. This is the worst idea you can have when it comes to public speaking. On the big day, the stage was ready. A staff member handed me the mic, and I walked out onto the stage. The audience laughed at my first few jokes, and I was feeling great. But, just as I started introducing Sarah and talking about her accomplishments, I stumbled over my words. My mind went blank. Even if you present on a regular basis, don’t get over-confident. Even the pros slip once in awhile. Every moment you have on stage is a gift of people’s time and attention, so you should never turn it away by preparing inadequately. If you’re not able to commit your speech to memory, have a clear outline printed out that is easily accessible. Your smartphone is not a good substitute. I learned this the hard way when I forgot my lines when introducing Sarah. I had my smartphone propped on Sarah’s laptop in case I needed my notes, which I added the night before. I fumbled with my phone, trying to scroll to the right spot on the document, but the pressure of 500+ eyes got the best of me. What came out of my mouth next was a jumble of words. I tried to cut my humiliation short by abruptly ending my introduction: “Let’s give a warm welcome to Sarah Bird!” I felt like a huge failure. Now, I make sure to have hard copies of everything I may need. In the event that I need to reference my notes, I have it in front of me. Try printing your material in a larger font with extra spacing to make the text easier to read. If you’re reading straight from a script, make sure to look up at the audience often. It keeps people engaged. Before you go on stage, familiarize yourself with how the presentation will proceed. Ask the staff what is expected of you. Know your cues. When Sarah and I first stepped onto the stage, I noticed there were two comfy chairs and a little coffee table in the middle. That led me to assume the presentation was an interview style. After Sarah began her speech, I turned and sat in one of the two seats behind her. Sitting there with the light shining on the two of us, I got that feeling in my stomach — I’m not supposed to be sitting on stage. “What do I do?” I wondered in a panic. After about 10 seconds of internal debate, I got up and walked off stage in the middle of Sarah’s presentation. Had I talked to the staff beforehand, I would have known what to do after introducing her. The fact of the matter is that embarrassing moments happens to the best of us. When I talked to Rand Fishkin, one of the founders of Moz who passed the torch to Sarah, at another digital marketing conference, I confessed my experience of introducing Sarah at the Seattle Interactive Conference. Rand laughed and told me an embarrassing story of his own public speaking disaster. The greatest and most successful leaders in history have all experienced failure and embarrassment. In life and business, there will be times when you fail and times when you’re embarrassed. It’s going to happen. If there’s anything I’ve learned from that day, it’s that you have to be comfortable with being uncomfortable in order to succeed. If you’re feeling bold enough, this is my key to perfecting any presentation. Head to a busy coffee shop, set up everything you’d need for your presentation, and deliver your speech as you would on the big day in front of everyone. People will look at you like you’re crazy. Some will ignore you, some will smile, and some will actually listen to you. The fact is that it’s great practice if you can keep your composure, pause effectively, change your voice intonation, and use body language effectively in an embarrassing situation. It’s so much easier to speak in front of a group that’s expecting a presentation. If you have the courage to try it, I guarantee it’ll make your presentation that much easier and more fun.